The Byakuya Gang's activities become more brazen in the Hidden Leaf. While some people view them as heroic, noble thieves, Boruto can't get himself to approve of their actions. The genin are told to work together to capture the gang, and security in the village is increased. 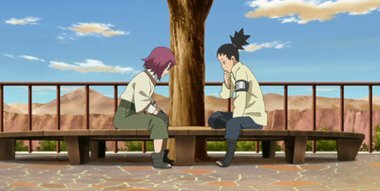 During this time, Shikadai meets a youth named Ryugi. Despite their age difference, a bond grows between them.